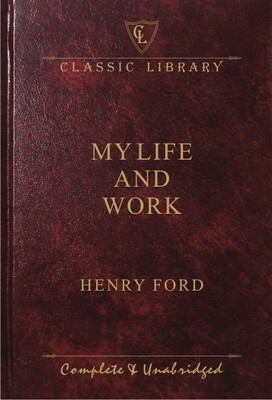 “My Life and Work” may seem to be an autobiography of Henry Ford, but it is a bible for disciplined business by world’s renowned industrialist, business tycoon and an intelligent mechanic. The book takes you through time where the term ‘car’ was not coined and dreamt of. Ford’s family was into farming. By seeing need of farmers to have faster mode of ploughing Ford designed tractor. Later he experimented with gasoline engines to fill the need gap with his dream of “affordable car for all”. Ford converted the automobile from a luxurious piece into a convenient conveyance. The book talks about Ford’s trial and error journey of invention of affordable and durable car which lead to foundation of the Ford Motor Company. His intense commitment to lowering manufacturing costs resulted in many technical and business innovations. The book describes how Ford introduced the assembly line, which helped reduce working hours and also cut down tedious work of the employees. He kept on working for faster and better technology of car manufacturing. Ford was an exception, an inventor who without bothering about people’s comments went on to mass-produce his inventions. If you ever feel disheartened that your business idea is less accepted by people and you feel there is no market for such idea or innovation, remember Ford’s comment, “There was no ‘demand’ for automobiles—there never is for a new article.” This book makes you believe in the philosophy ‘Necessity is mother of invention’. By the early 1920s the company employed 50,000 employees and was turning out 4,000 cars a day. In 1921 alone, five million cars were produced. By the end of the decade, 15 million Model T’s would be run off the assembly line. By 1918, half of all cars in America were Model T’s. This book takes you through the work culture of Ford which has played a great role in making Ford a trusted and renowned brand. Ford believed that idea can come from any brain. He believed in having a work culture where people were employed by seeing their willingness to work and not on their past experience. Physically challenged were given equal opportunity to show their efficiency and rewarded for their work. There was minimal hierarchy in the organisation which enabled the employees to grow on merit basis. He did not hire ‘experts’ because they usually only knew what could not be done; he preferred ‘fools’ who would try their best to tackle problems with an open mind. He also explains that too much importance shouldn’t be given to savings and investments. He says: “You are not ‘saving’ when you prevent yourself from becoming more productive. You are really taking away from your ultimate capital; you are taking away the value of one of nature’s investments.” According to him you should invest in yourself, in fulfilment of your dreams as that is the real investment, it always provides the best returns. In the early days of the car industry, Ford noticed, there was no ‘after sales service’. Car makers were totally focused on the selling rather than building a relationship with customers. They tried to earn more money from the business of spare part replacement after the car was sold. Ford believed that the sale of a car was just the beginning of a relationship with a buyer. He built his cars to last, but also made sure parts were transferable across models, cheap, and easy to install. This drew sales of Ford motors, people were impressed by their after sale service. He believed business was not just selling products to people but to win their hearts and make sure their second purchase is bagged by you. “If you could manage to sell a high quality product cheaply via low cost methods, you will be meeting a demand which is so large that it may be called universal”, Ford wrote. 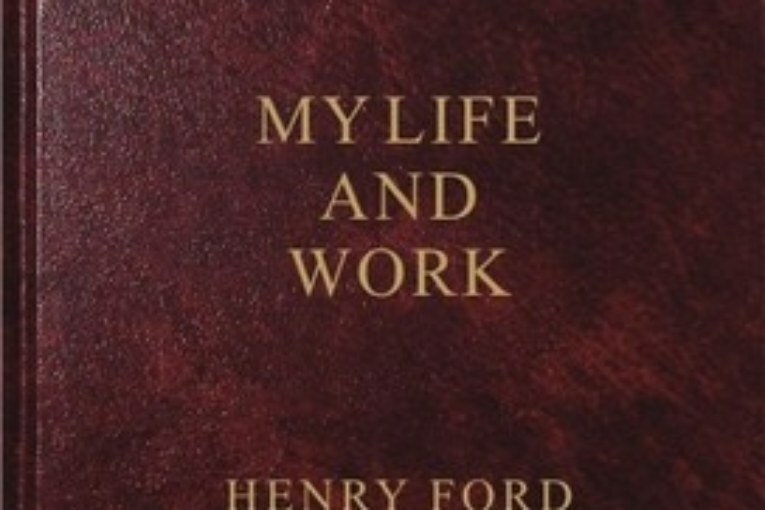 Henry Ford’s story is intensely inked in “My Life and Work”. Individual aspiring to become an entrepreneur can’t afford to miss this book. This book helps to formulate business norms for any new organisation and motivates one to keep on trying and make it big and better.